Danbury Public Schools welcomes two elementary school principals to the district: Marnie Durkin at Ellsworth Avenue School and Kristen Bradley at Morris Street School. Durkin began her career as an elementary school teacher, spending more than ten years in the classroom, before working as a math specialist in Danbury elementary schools. 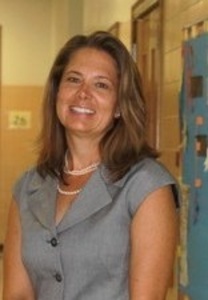 She later served as the principal of South Street School and assistant principal of Park Avenue School. Bradley joined DPS two years ago as a language arts specialist, following a 20-year career in education in which she taught across all elementary grades and later assumed the roles of data and literacy coach that reflected her knowledge and teaching experience. Durkin earned a B.A. in elementary education and a Master of Science/Reading from Western Connecticut State University, as well as a Sixth-Year degree in educational leadership from Southern Connecticut State University. Bradley earned a B.A. in elementary education from Stonehill College, a Master of Education in reading from Lesley College and a Sixth-Year degree in educational leadership from Southern Connecticut State University. The new principals will assume their positions on July 1.